PALM SPRINGS, CA (CelebrityAccess MediaWire) – Ten show business managers who guided the careers of celebrities from Cannonball Adderley and Woody Allen to Robin Williams and Nancy Wilson will be inducted into the newly established Personal Managers Hall Of Fame on Thursday, April 23, 2015, at Morongo Casino Resort & Spa. •	Bernie Brillstein (1931-2008) – Clients represented: John Belushi, Jim Henson, Lorne Michaels, Gilda Radner and Martin Short; producer of “Hee Haw,” “The Muppet Show” and “Saturday Night Live;” co-founder of Brillstein-Grey Entertainment. •	Shep Gordon – Clients represented: Alice Cooper, Blondie, Anne Murray, Teddy Pendergrass and Luther Vandross; film producer; featured in “Supermensch: The Legend of Shep Gordon,” a Mike Myers documentary film. •	Charles Joffe (1929-2008) — Clients represented: Woody Allen, Harry Belafonte, Robert Klein, David Letterman and Robin Williams; co-founder of Rollins-Joffe Productions, producers of Woody Allen films. •	John Levy (1912 – 2012) — Clients represented: Cannonball Adderley, Roberta Flack, George Shearing, Joe Williams and Nancy Wilson; credited as first African-American personal manager in jazz; National Endowment for the Arts honoree. 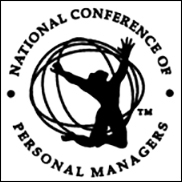 •	Gerard “Jerry” Purcell (1915-2002) — Clients represented: Dr. Maya Angelou, Eddy Arnold, Al Hirt, Rod McKuen and Hugo Montenegro; co-producer of Perry Como and Red Skelton television shows; president (1972-2002) of the National Conference of Personal Managers. •	Jack Rollins – Clients represented: Woody Allen, Harry Belafonte, Robert Klein, David Letterman and Robin Williams; co-founder of Rollins-Joffe Productions, producers of Woody Allen films. •	Suzanne Schachter: Clients represented: Mindy Cohn (“Facts of Life”), Adam Lamberg (“Lizzie McGuire, Lea Michele (“Glee” and “Les Misérables”) and Mexican film and television star Manuel Ojeda (“Romancing The Stone”). •	Milt Suchin — Clients represented: Vikki Carr, Phyllis Diller, Jack Jones, Shirley Jones and Debbie Reynolds; film producer; past president of the Conference of Personal Managers West. •	Mimi Weber (1927-2007) – Clients represented: Pam Dawber, Harry Guardino, Myrna Loy, George Maharis and Nick Nolte; first woman elected to the National Conference of Personal Managers. Celebrating illustrious careers in personal management, induction into the Personal Managers Hall Of Fame is the highest honor bestowed upon a personal manager. Nominations were solicited from personal managers nationwide and inductees were selected by the National Board of Officers of the National Conference of Personal Managers (NCOPM), the nation’s oldest trade association committed to the advancement of personal managers and their clients. The Personal Managers Hall Of Fame Induction Reception is an event held during Personal Managers Interchange, a two-day trade conference for entertainment, music, sports and talent managers.